While working at the 1890 St. Louis Exposition, Henry Miller, a local lineman, instigated spirited conversations with fellow tradesmen. They soon found common ground regarding industry-wide problems, such as exceptionally high mortality rates of nearly one for every two hires and earnings of no more than $.15-.20/hour for 12-hour workdays. Wiremen fared no better. The group turned to the American Federation of Labor and chartered themselves as the Electrical Wiremen and Linemen’s Union, No. 5221 of the AFL. 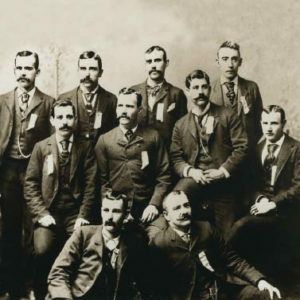 On November 21, 1891, the National Brotherhood of Electrical Workers (NBEW) was formed at a convention with 10 delegates. 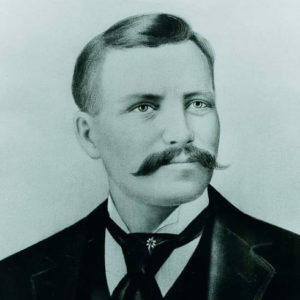 Henry Miller was elected president of the newly formed NBEW. The delegates drafted a Constitution and laws while also creating a symbolic emblem of a fist holding lightning bolts. In 1899, at the convention in Pittsburgh, Pennsylvania, the NBEW’s name was officially changed to the International Brotherhood of Electrical Workers, IBEW. Today, IBEW represents approximately 750,000 members who work in a wide variety of fields, including construction, utilities, telecommunications, broadcasting, manufacturing, railroads, and government.